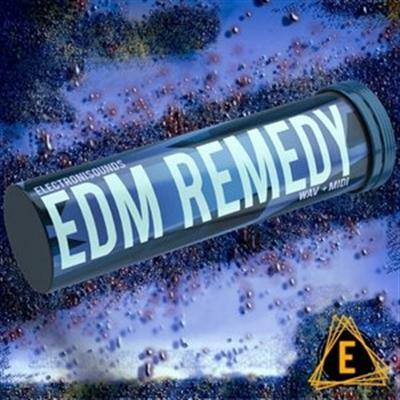 'EDM Remedy' is the antidote to an oversaturated EDM sample market, overflowing with everything you need to write your own EDM banger from the ground up, or to embellish existing tracks. You'll find drum loops and one-shots, keyed kick drums, bass and synth loops, drop leads, MIDI, FX and more. Supplied at a uniform tempo of 128 BPM, this pack is easy to use and versatile. Whether you prefer to work with loops, MIDI or one-shots, 'EDM Remedy' has got you covered. If you prefer to program your own drums from scratch, then dig in to the 200+ drum one-shots, including 70+ key-labelled kicks, analogue percussion and FX, claps, crashes, hats, snares, sub kicks and toms. This pack is useful for EDM, Electro-House, Progressive-House and everything in between and beyond. Of course this all depends on how you choose to use the samples. Check out the audio demos, and you will hear just how versatile these samples and loops can be; all demos use samples from this pack only and no other sounds. 'EDM Remedy' is 100% Royalty-Free, meaning you can add all of these elements to your productions without worrying about any sample clearance hassle.